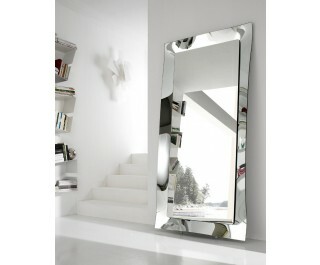 Monolithic mirror with bent glass frame. Diva is designed for vertically or horizontally wall mounting. Maxi version can be supplied, on request, with a base to be placed on the ground.